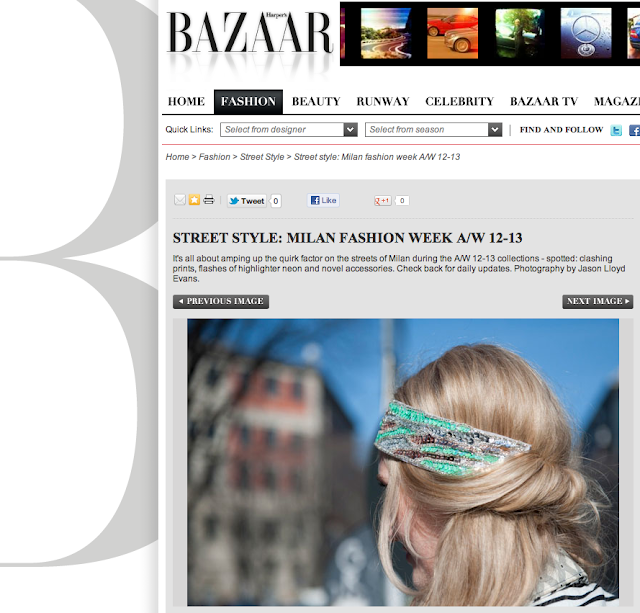 I T A L I A N c o n f e t t i: On Harper'sBazaar.com? Funny find, a photographer emailed me this link from a street style post he included me in on for Harper's Bazzar AU. Random! you rock--and are OH so fashionable! Ahhh, so cool Heather! Your hair does look fab in your True Birds band! !